Fold the hat flat and join sides with sl st – view video at 14:04. Fold the hat flat and join sides with sl st. Attach a loop for Christams ornamet hat (view video at 23:43). Make 25 ch with white yarn. 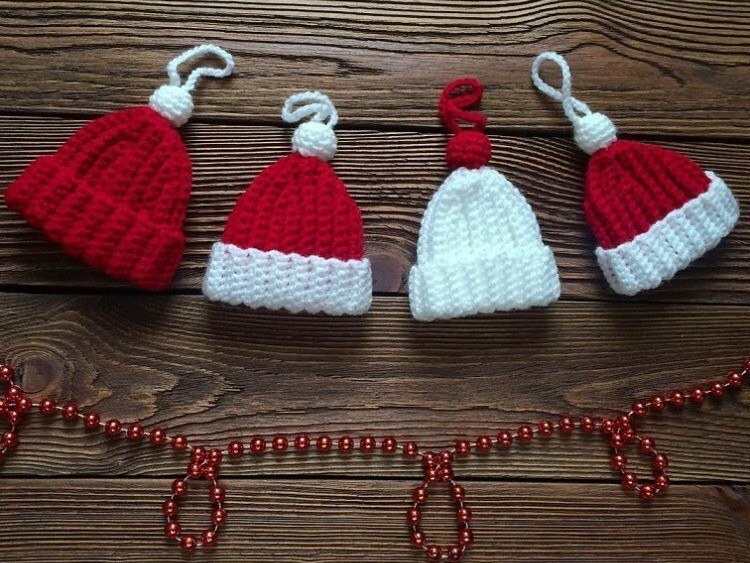 Sew a loop at the top of hat, and this Christmas ornament is ready to hang.